Cancun is world-renowned for its spring breakers and all-inclusive resorts. When we first decided to visit Mexico, we were actually quite hesitant to include Cancun in our itinerary for this reason. We enjoy an open bar or drink service on the beach as much as the next person, but we can get that anywhere in the world. What could Cancun offer us that other popular destinations along the Caribbean couldn’t? We quickly found out that Cancun is much more than its stereotype. Just for a fun fact, spring breakers only make up 2% of Cancun’s annual tourists. Maybe that’s a lot for one week, but it definitely doesn’t define the area on a whole. And while we thought we would have to travel far outside Cancun to find local arts and history, we were wrong; there was plenty of culture to be had just steps away from our hotel room. A day split between the Maya Museum and the MUSA Underwater Museum was all it took to show us how. Mayan culture is absolutely fascinating. 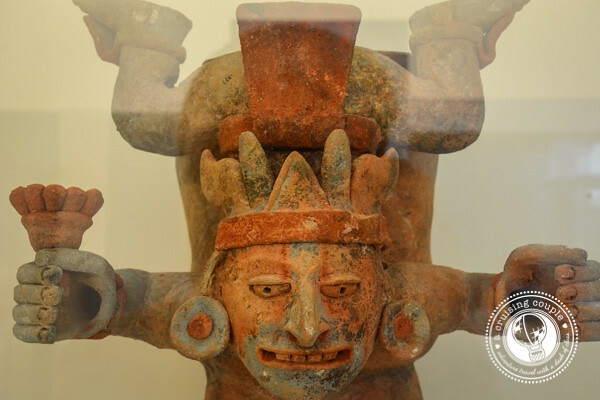 While a glimpse into the legacy of the Mayans can be had at the numerous temples and ruins that dot the Yucatan Peninsula, the Maya Museum provides an all-encompassing introduction to Mayan society. It greatly enhanced our knowledge, while also helping us to understand what it was we were witnessing at the temples and cenotes. 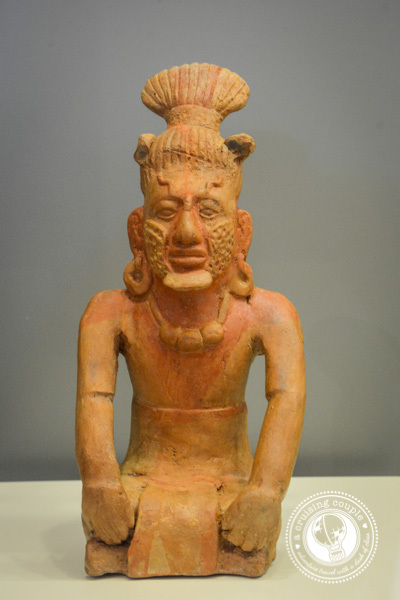 Cancun’s Maya Museum was only recently inaugurated in 2012. Though it is located in the center of the ‘Hotel Zone’, the museum feels worlds away. The ground level is a green oasis, providing a nice contrast from the neighboring resorts. The 350+ artifacts are located on the second floor to protect from potential flooding and damage. The museum is divided into three parts. 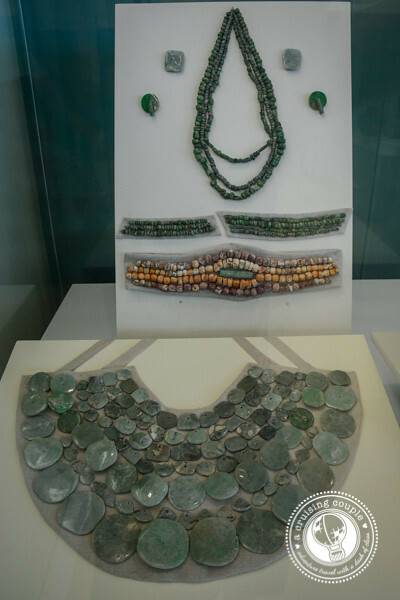 The first exhibition room is dedicated to the Mayan population of Quintana Roo, the state of Mexico that Cancun and the Riviera Maya are a part of. 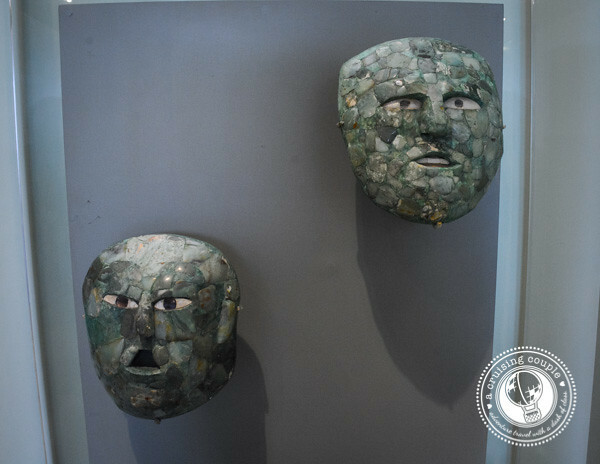 The second exhibition room explains Mayan culture on a whole, featuring Mayan architecture, art, and other artifacts that made up Mayan’s everyday life. The final exhibition room is a temporary exhibit; our visit correlated with ‘The Concept of Beauty’. 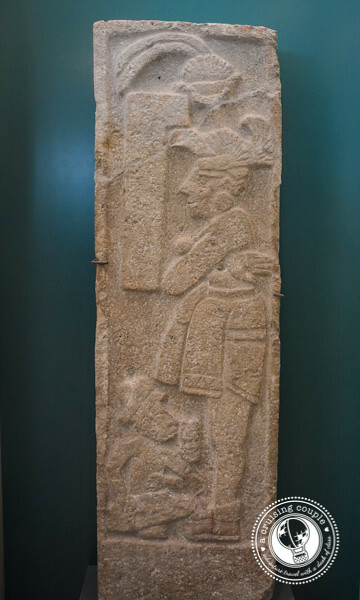 Mayans believed in life after death. It was a never ending, circular cycle. Though the cycle included an underworld called Xibalba, it was not ‘hell’ in the Western sense. This is an incense holder – a bit bigger than what we are used to today! Mayans use incense as a medium to purify themselves and communicate with the gods. The Descending God. He is the most important god in the temple of Tulum and is aligned with the planet Venus. This is an estela. These were sort of like the Mayan version of billboards. The royalty would use estelas to communicate important messages, often including messages about power or the caste system. The Concept of Beauty was definitely the most intriguing of the three exhibition rooms. If Mayans wanted to show that they were upperclass or royalty, they would scar their faces or shape their heads into cones. Additionally, they would make their children cross-eyed, as this would show they couldn’t (and didn’t need to) work. 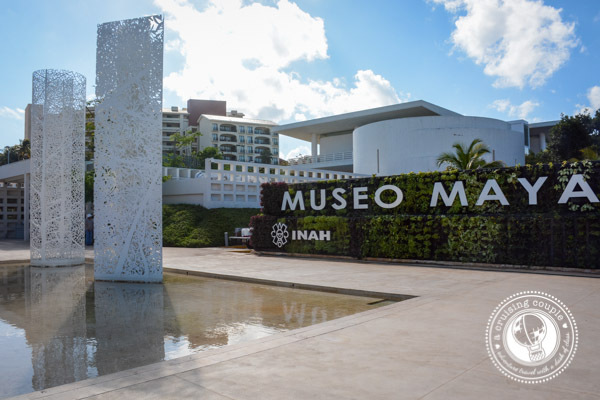 Cancun’s Maya Museum and the adjacent archeological site of San Miguelito are open Tuesday to Sunday from 10 a.m. to 7 p.m., except on Thursday (7 a.m. – 10 p.m.) Tickets cost around $5 for access to both the museum and San Miguelito site. Children under 13 and adults over 60 years old receive free admission. On Sunday, admission is free to local residents with official identification. The Maya Museum was a perfect start to our day, but by mid-morning we were ready to get our adrenaline pumping once more. Our next destination fit the bill perfectly. The vision of artist Jason deCaires Taylor, MUSA is both an ascetically pleasing art project as well as an eco-conservation project. It’s a little bit odd and a little bit creepy while also being extremely innovative and creative. 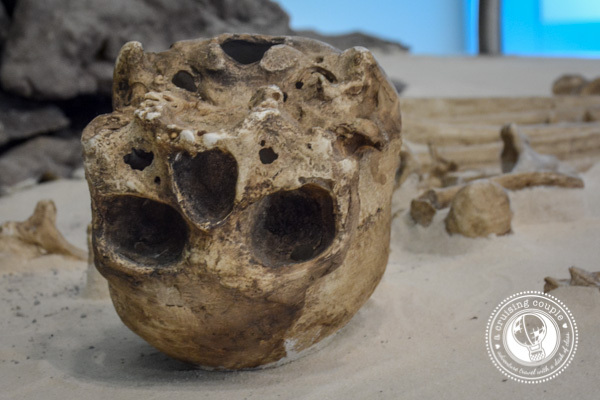 We can say without hesitation that our visit to the Underwater Museum was a highlight of our two months in Mexico. To begin, artist Taylor created life-size casts of over 400 Mexicans, depicting different aspects of everyday life. Each sculpture tells a distinctive story. Some are stories of hope and rebirth, others, like Inertia, a critique on society. To our pleasure there were even a few sunken vochos! Putting the statues into the water was just the beginning of the project. Taylor’s contemporary art display will keep evolving, attracting new coral and marine life and continuously changing the very nature of the statues. 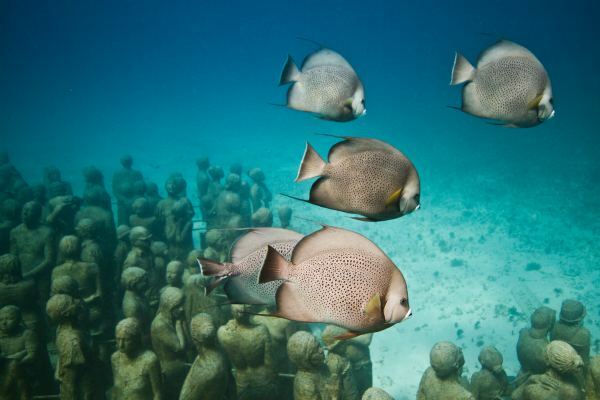 MUSA has exhibits on two reefs, the more frequently visited one between Cancun and Isla Mujeres. The museum is accessible via diving or snorkeling. Unfortunately, I’ve recently been having ear troubles preventing me from equalizing, so we had to go the snorkeling route. The water is so clear that we were still able to get good views of the statues, though diving would have provided a good opportunity to get up-close to the lifelike statues. 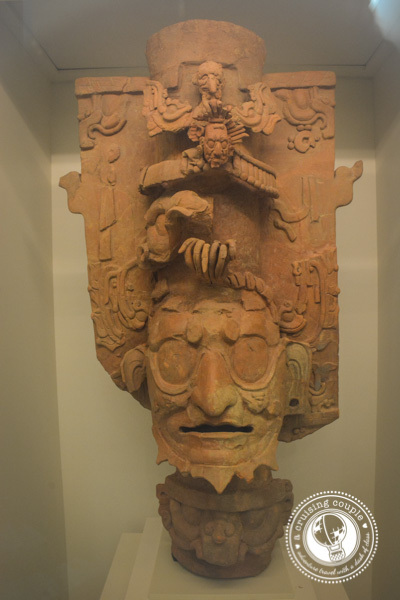 We would definitely recommend the Maya Museum and MUSA to any visitors to Cancun, especially if residing within the Hotel Zone. Have you been to Cancun before? 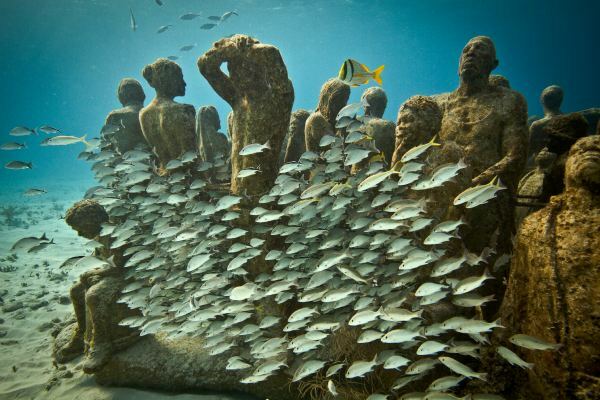 Have you heard of the Underwater Museum? Do these activities sound like something you would enjoy? A massive thank you to the Cancun Tourism Board for hosting our visit. As always, all thoughts and opinions are our own. 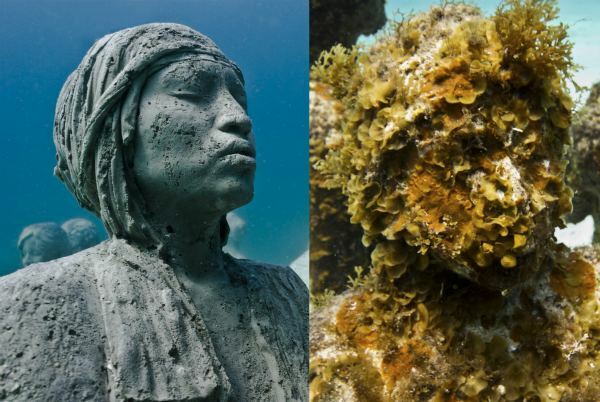 Photos of the Underwater Museum courtesy of the Cancun Tourism Board. Wow its so lovely images its showing there culture, there past. there present……. MUSA looks awesome. Now, that’s my kind of museum to visit!